Located in the heart of Surrey and close to both urban conveniences and many of BC's majestic forests, Newton real estate includes a balanced mix of large single family-homes, townhomes, and condominiums. In fact, nearly two-thirds of the homes here are multi-family units. This combined with the close proximity of all Newton homes for sale to public transit stops makes the neighborhood ideal for first-time home owners, and students. However, as you'll read below, there are also many family-friendly amenities to enjoy in Newton, similar to other family-friendly communities nearby, such as Cloverdale and Clayton. Are you excited about Newton real estate already? 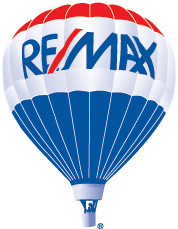 Scroll down to view the latest listings in the area or continue reading below the listings to find out more about the community! If you want to receive more information about these unbelievable homes, register with Robbie Johal right now! Registration is free and will allow you to view all the details of every listing on this website, save your favorite listings, and receive emails as soon as a new home within your search criteria hits the market. Newton lies almost directly in the middle of Surrey. With perky gardens, lovely sidewalks, and all the shopping you could ever ask for Newton homes for sale provide many pleasantries for potential buyers. Situated near Hyland Creek—and in particular, Hyland Creek Park—are a myriad of detached houses with lush, spacious lawns surrounded by towering trees, creating an extremely peaceful atmosphere. These private and upscale single-family homes have access to multiple levels with modern interiors and open floor plans. along with incredible outdoor spaces. Single-family homes along 56th and 57th Avenue are also surrounded by some of nature’s finest trees. In total, single-family homes make up just under 40 percent of the Newton real estate market. To make things even more convenient, British Columbia Highway 10 is mere blocks away from Newton. Just north of it is Corrigan Park, which has some fantastic opportunities for dog walking, hiking, and running. To the west are some spectacular options for farm houses and acreages. There are also beautiful lots for sale, many of which have already been cleared and are ready to be built upon! There are a number of modern townhome and condo developments in Newton, as well as breathtaking apartments with great views. Close to 40 percent of the homes in Newton are townhouses, while just over 20 percent are low-rise apartment/condo buildings. Newton is very close to wilderness despite its residential neighborhoods and urban amenities. The number of parks in the area is truly astounding. Redwood Park, located just north of Dogwood Park, is one of the best go to options for those wishing for morning walks or jogs. Despite that it’s situated quite close to several homes, you would never know it. Private and secluded, it even has a playground for kids and has a very clean atmosphere. One of the gems of Surrey has to be the Green Timbers Urban Forest. Experience the beauty of towering old growth forest and pristine lakes. Bring your fishing rod and try your hand at catching fish from the clear, cool waters. The scenery is second to none, and there’s no better place to have a meal than this exceptional park. Indoor recreation facilities are common in Newton as well. In particular, the Newton Recreation Centre, which includes the extremely popular Newton Wave Pool, is a family-friendly amenity that is beloved in the community. Golf courses are also common in Surrey and several of them are very close to Newton. The most opulent golf course, Northview Golf and Country Club, is just east of the town center. This course is so stunning that people often book their weddings there! Walk the greens, then settle in and stay a while for coffee or dessert. For more information on real estate in Newton, Clayton, Cloverdale, or anywhere else in Surrey and Langley, contact Robbie Johal today.